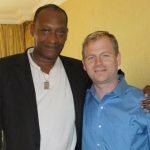 “Portrait of Wally”, which is the collaborative effort of director Andrew Shea (“Forfeit”) and ex-NPR journalist David D’arcy, both of whom wrote and produced the film, comes across more like a commentary-laden case analysis than a documentary. If Egon Schiele’s 1912 painting of his girlfriend Valerie ‘Wally’ Neuzil expressed a much needed respite from his typically intense, viscerally rousing work, Shea’s observation only scratches the surface of that emotion. I imagine that’s deliberate; this is not a biography of Schiele (pronounced Shee-leh, for those like me who aren’t particularly art savvy), nor is it an examination of his art, though I’ll be exploring that post-haste; ‘Portrait of Wally’ appears a beacon of innocence, contrasting his grotesque, often salacious works, so it’s ironic that she would become the most controversial of his paintings. But there seems to be a disconnect in conveying its powerful human link to the atrocities in Austria during World War II. “Wally” is all business, a mechanical orchestration of testimonial and news feed that is pieced together like a Lego set, almost as if the contributing parties were conducting an appraisal. Perhaps that’s the most efficient way to tackle a subject that had such a broad impact over the course of a century, a work of art with ties to the Holocaust when it is said to have illegally been obtained. Needless to say, I felt sufficiently educated by the end, but more so about the art collectors and their obsession than anything else. I had no idea how crazy the world of art-laundering was. In 1998, Robert Morgenthau, who was New York City’s District Attorney at the time, subpoenaed ‘Portrait of Wally,’ which was on loan to the Museum of Modern Art(MoMA) from the Leopold Museum in Vienna, Austria, after a New York Times exposé suggested that its provenance had been falsified. The alleged culprit: Rudolf Leopold, whose privately owned foundation boasted the largest Egon Schiele collection in the world. 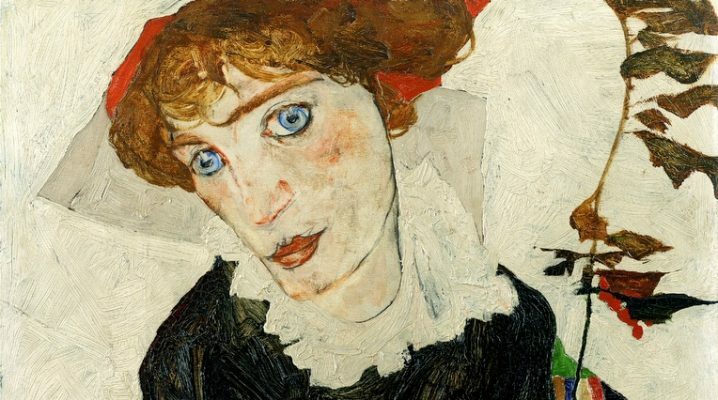 Fifty years earlier, ‘Wally’ was hanging on the wall in the Vienna residence of a Jewish art dealer named Lea Bondi, who long after her death in 1969, was proven to have been the sole owner of the painting, having purchased it from Schiele himself. 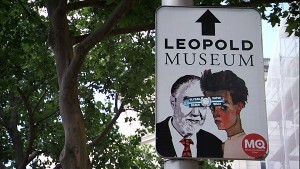 Records alleged that in 1954, Bondi, who had discovered that her painting was hanging in the Austrian National Gallery, approached Leopold to retrieve it for her. Portrayed as an overzealous, perhaps insane collector, Leopold had apparently absconded with ‘Wally’, adding it to his own collection instead of returning it to Bondi. Foul play was obvious, and Ronald Lauder, head of MoMA, was suddenly uncooperative. The move was a ‘Hail Mary’, according to Morgenthau in 2010, who had no other choice but to stall the painting’s return to Vienna, lest it become unrecoverable. But the motion was quashed and it was subsequently seized by U.S. Customs. The film is decidedly biased, and earns its right to be. But it’s also overstuffed and slightly redundant at 90 minutes, with too many parties giving their two cents worth and too much unnecessary filler. I must give credit to Andrew Shea for approaching this subject, though. 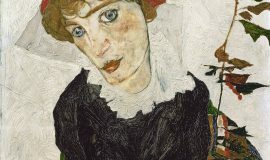 ‘Portrait of Wally’, celebrating its centennial back in Vienna this year, is a symbol of perseverance and optimism during some horrific times. In that, I think Shea saw something beautiful.